Exotic velvety blue with a rich overtone of purple, tanzanite is a one of a kind gem, unlike any other. Rare and valuable, tanzanite is also found only one place on the planet: the Merelani Hills of Tanzania, in the shadow of Mount Kilimanjaro. Of course tanzanite is an ideal complement to all the rich blues, purples, and greens in your wardrobe. But the velvety depths of this gem are also beautiful worn with earth tones, from chocolates to rusts and golds. Only discovered in 1967, tanzanite is already one of the world's most popular gemstones. Some credit is due to Tiffany & Co., who introduced this beautiful blue gem onto the market with a lovely name that pays tribute to the beauty of the land of its birth. Tiffany knew that to call this glamorous gem by its mineral name, blue zoisite, would not do it justice. Tanzanite is available in a variety of shapes and sizes. Rarely pure blue, tanzanite almost always displays its signature overtones of purple. In smaller sizes, tanzanite tends toward lighter shades of lavender and periwinkle. In sizes above 10 carats, tanzanite can show deeper, richer intense blue color. 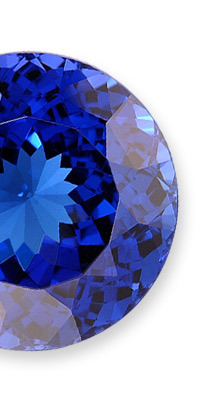 Tanzanite is trichroic: that is, it shows different colors when viewed in different directions. 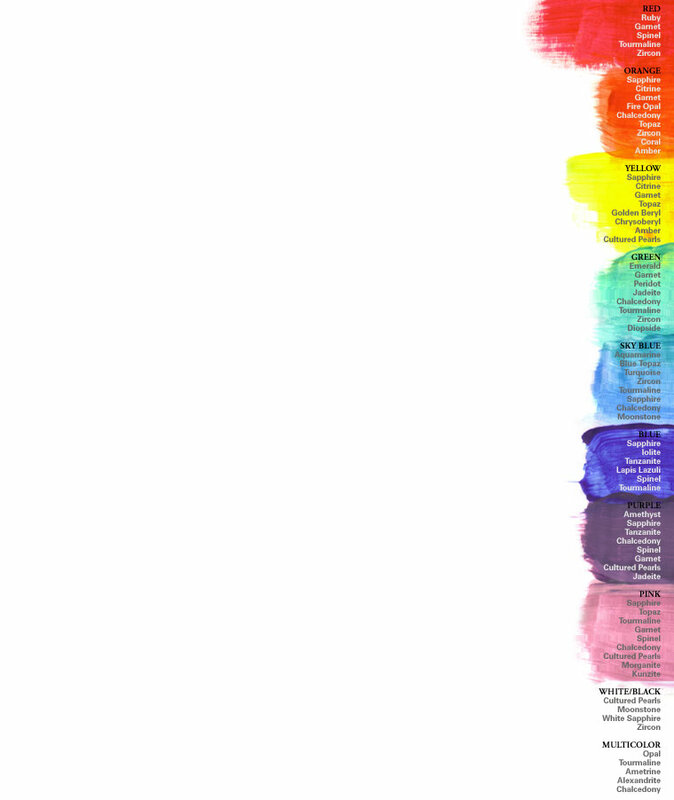 One direction is blue, another purple, and another bronze, adding subtle depths to the color. When tanzanite is found in the ground, the bronze color dominates. However, with gentle heating, the cutter can watch the blue color bloom and deepen in the stone. Tanzanites with a color that is more blue than purple tend to be more expensive because the crystals tend to form with the blue color axis oriented along the width of the crystal instead of the length. That means that if the cutter chooses to maximize the purity of the blue color, the stone cut from the rough will be smaller and will cost more per carat. The blue color, however, is so beautiful that the sacrifice is often worth it. Tanzanite jewelry is a little more delicate than other gemstone jewelry and should not be set in a ring that will be worn during strenuous activity. Never clean tanzanite in an ultrasonic cleaner or resize or repair a ring set with tanzanite without having the gem removed because the stone could shatter in the heat of a torch. Tanzanite is available in a variety of shapes and sometimes in large sizes that are perfect for an important necklace. Clean with mild dish soap: use a toothbrush to scrub behind the stone where dust can collect.